Please click one of the buttons below and enter your own amount on the next page. Please note: if your card is linked to a PayPal account, then you have to use that account. 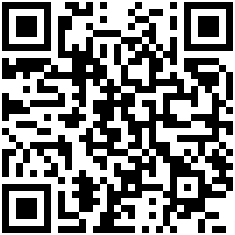 Please send bitcoins to the following address or use the QR code below. Gary Corseri is a member of the TRANSCEND Network for Peace, Development and Environment. He has published and posted articles, fiction and poems at hundreds of venues, including, TMS (Transcend Media Service), The New York Times, Village Voice, Redbook Magazine and Counterpunch. He has published 2 novels and 2 collections of poetry, and his dramas have been produced on PBS-Atlanta and elsewhere. He has performed his poems at the Carter Presidential Library and Museum and has taught in universities in the US and Japan, and in US public schools and prisons. Joanna Santa Barbara, MB.BS, FRANZCP, FRCP(C), O.Ont..